WEST BROMWICH, May 13: Chelsea is back at the summit of English football, completing a wild roller-coaster ride over the past three years. After cruising to the Premier League trophy by eight points in 2015, the London club finished in 10th place the following year in the worst title defense in league history. On Friday, Chelsea regained the title under new coach Antonio Conte, with two matches to spare, by winning at West Bromwich Albion 1-0. The first year of the "super coach" era in the Premier League belongs to Conte. Most of the preseason chatter circled around the arrival of Pep Guardiola and Jose Mourinho at the helm of the Manchester clubs. The power in English soccer was supposed to shift back to the north, but Conte had other ideas. The Italian arrived in July with a reputation as a master tactician, after winning three straight Serie A title with Juventus and then guiding one of the most underwhelming Italy sides in a generation to within a penalty shootout of the 2016 European Championship final. Chelsea was in eighth place after six games following losses to Liverpool and Arsenal, but a switch of formation from 4-2-3-1 to 3-4-3 — the system favored by Conte — returned stunning results. 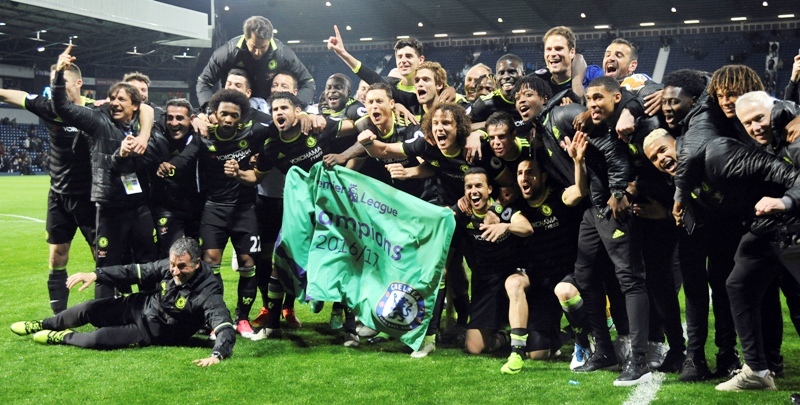 Chelsea won the next 13 matches, laying the foundations for an eventual title triumph. Animated and often uncontrollable in his technical area during matches, Conte is clearly a lucid thinker about the game. He has quickly become a favorite with Chelsea's fans because of his obvious passion. There's also been no sign of the dressing-room discord that sparked the abrupt end of Jose Mourinho's second spell in charge. A title-winner in two countries now, there's an argument for calling him one of the most sought-after coaches in world soccer. If recruiting N'Golo Kante from Leicester was a no-brainer, bringing in David Luiz looked fraught with danger. Both have turned out to be inspired signings. Kante has bestrode the midfield, breaking up opposition attacks with his perfect anticipation and positional skills and then starting Chelsea's own with his vision and directness. 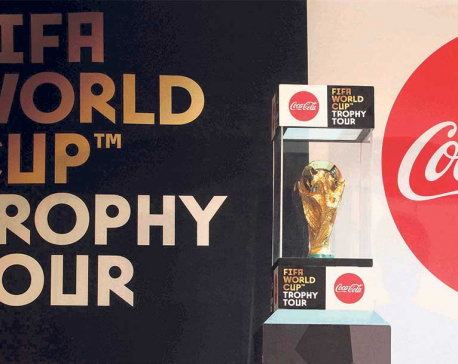 It came as no surprise that he was voted English soccer's player of the year by both his fellow professionals and the country's soccer writers. Luiz left Chelsea for Paris Saint-Germain in 2014 for 50 million euros (then $57 million), making him the world's most expensive defender even though many pundits said he couldn't really defend. He has returned a completely new player, eliminating the mistakes and lapses in concentration for which he was often ridiculed. Playing as the libero at the heart of Chelsea's three-man defense has suited his game, leaving him free to act more as a sweeper than a touch-tight marker. Chelsea started the season with its tried-and-trusted back four. But with the team having been outplayed in a home loss to Liverpool and then 3-0 down at halftime at Arsenal, Conte decided to switch things up. He went to a three-man defense — Cesar Azpilicueta, David Luiz and Gary Cahill — and played with wing backs for the final 35 minutes, and Chelsea became a different prospect. They stuck with the 3-4-3 for the rest of the season. Wing backs Victor Moses (right) and Marcos Alonso (left) have been revelations, Azpilicueta has made up for his lack of height with his positioning and tenacity as the right-sided center back, and Luiz is the ideal sweeper. Further forward, Eden Hazard has relished his freedom in a three-man strike force, which limits the requirement for him to track back and meant he has returned to the kind of form that saw him become England's player of the year in 2015. Central striker Diego Costa has flourished with pacey forwards Hazard and Pedro Rodriguez flitting around, scoring 20 goals. No player in Chelsea's first-choice starting XI picked up a long-term injury, allowing Conte to field close to his strongest team each week. Seven of the players have started at least 30 league games. Only minor tactical switches have been necessary, mainly swapping Willian for Pedro in attack on occasions and sometimes giving the more attack-minded Cesc Fabregas a start ahead of Nemanja Matic in midfield. Without the extra demands of playing in European competition and an early elimination from the League Cup, Chelsea has been able to focus solely on the Premier League and FA Cup — giving Conte usually a week to prepare for each game and his players ample time for recovery. They could end up winning the double. 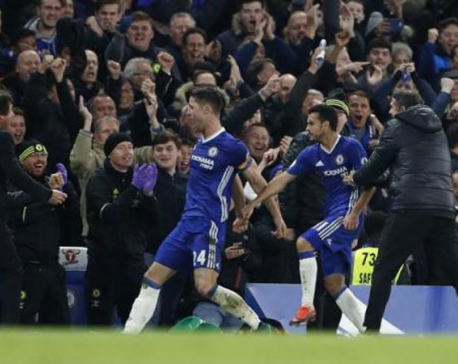 There were some key results at key times in Chelsea's title-winning campaign: The 4-0 win in mid-October over a Manchester United side led by former Chelsea coach Jose Mourinho, three games after Conte's conversion to a 3-4-3; the 5-0 win over Everton on Nov. 5 that was perhaps Chelsea's best all-round display of the season; the 2-1 win over Man City that was ground out on April 5, showing Chelsea can beat a major opponent when not at its best; and the 3-0 win against Everton at fortress Goodison Park in late April, just when second-place Tottenham had closed to within four points, that allowed Conte's side to freewheel to the title.